I have to laugh, because I have a great old sewing machine(affectionately called “The Dinosaur!”) Oh, it has had quite a work out over its lifetime, but one reason I am especially happy to have it is for patching things.Why? Well, I would much rather save the money than go out and buy new shorts just because there is a tear in them when I can fix it. Call it frugal. Call it cheap. Call it whatever you want, but I call it resourceful and I just saved a bunch of money. It does get used for other things, in fact you may remember a post I did around the holidays about making napkins. I also posted recently over at Sincerely, Emily about being motivated to sew and I mentioned 5 pairs of shorts that I patched. I won’t tell you how long those shorts have been waiting. 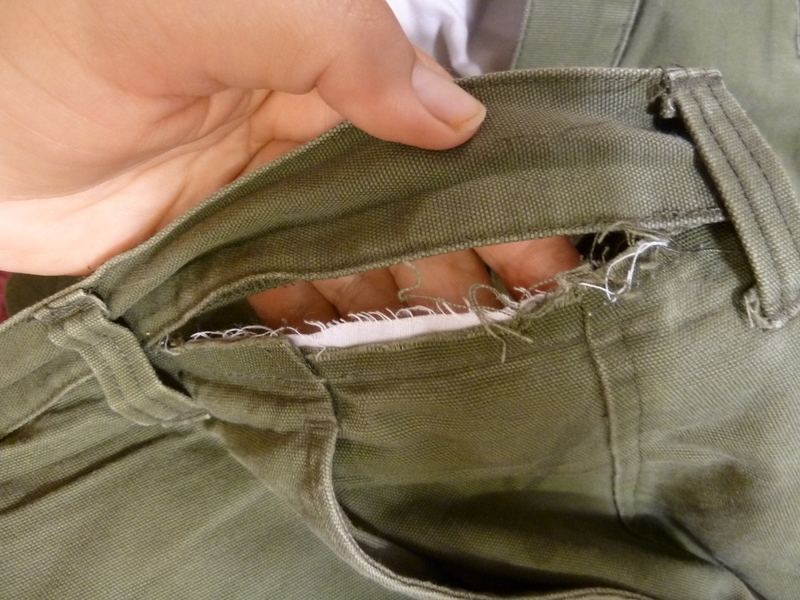 What I will tell you is that they were hardly missed or there would have been a need to patch them a lot sooner. My husband has enough shorts to last at least 3 weeks without needing to wash them. Same goes for things like underwear. I tease him, because he has so many t-shirts that he could wear one each day for the next 10 years and still not need to do laundry, but I can’t change that and each time he leaves home for an air show or trip, he will always come home with a minimum of 2 new t-shirts. You get my point. Anyway, I finally got around to patching his shorts. Next up was the shorts. The first pair needed the waistband re-attached. Fairly easy, but the stopping and starting at each belt loops slowed the process down. 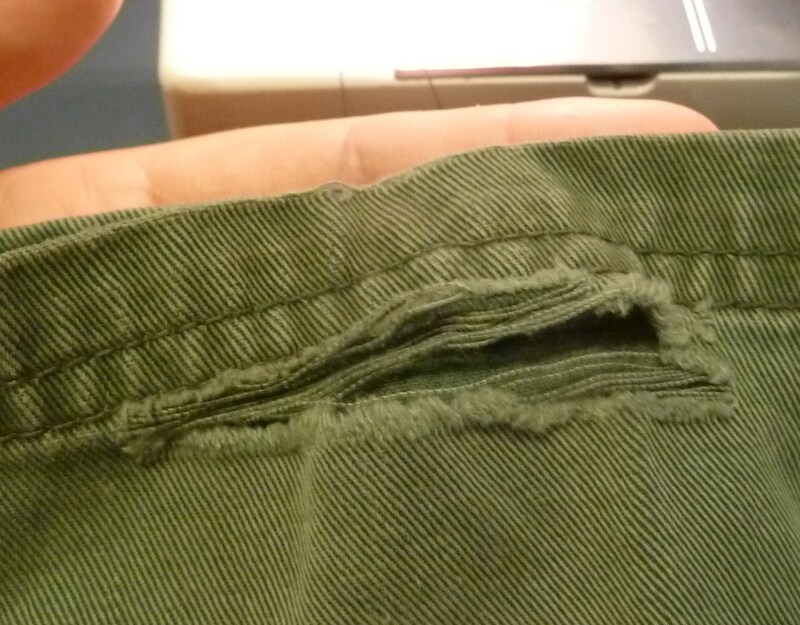 After I repaired the parts that needed it, I also continued around the waistband to reinforced the rest of it so we wouldn’t need to re-visit that anytime soon. I always go a bit overboard, but I was there and it went quickly and it was the right thing to do. After that I focused on the other shorts. They all had rips and tears in different spots. Years ago I used the iron on patches and they would last a while, but not long enough. 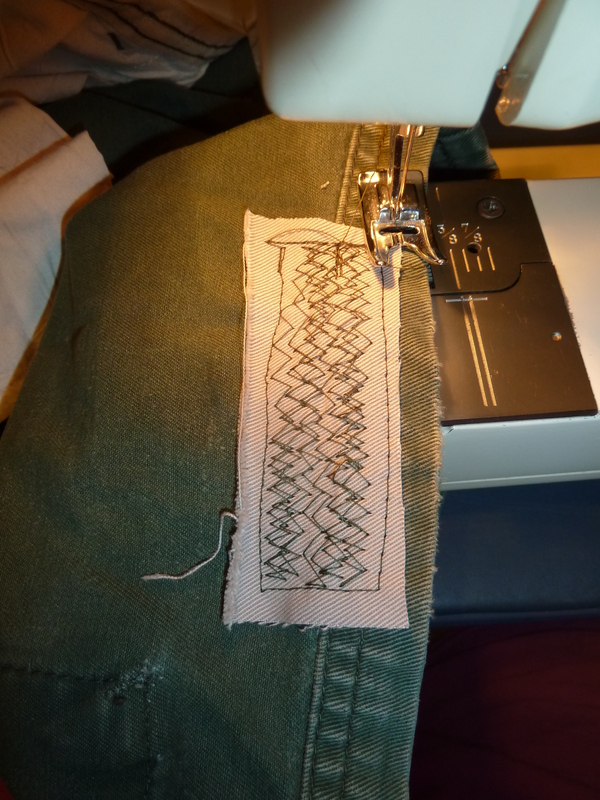 Then I used the zig-zag stitch in different lengths and widths to mend these things. This time I decided a few spots needed some additional reinforcing (like the one you see pictured on the left.) I grabbed a rag (used to be a pair of short) that had some good weight to it and would hold up to the patch as well as hold the shorts together for a little while longer. In fact, I think the patches will outlast the shorts now. Like I said earlier, I tend to go a bit overboard. All the shorts are patched and put back on the shelf to wear. Some have been patched more than once. Those will be worn around the house while the others are still good to wear to work. I am glad I have my trust old sewing machine. It has done well over the years with regular tune-ups and no repairs of any nature. After 30+ good years, I get a bit worried because most of the major parts are no longer available and a day may come when something major happens and it is not fixable. Well, I increased my odds…. I bought another one – same model and everything. I found it at a garage sale. It works well and has been recently serviced. Whatever happens to my Dinosaur, I either have another one for parts or to use if it comes down to that. For $40 is was far less than a replacement machine would cost. Click on the badge to go see what others are doing. Do you find you use your machine a lot for patching things? Do you have any techniques you can share with me? I learned to sew when I was 15 or 16 years old. 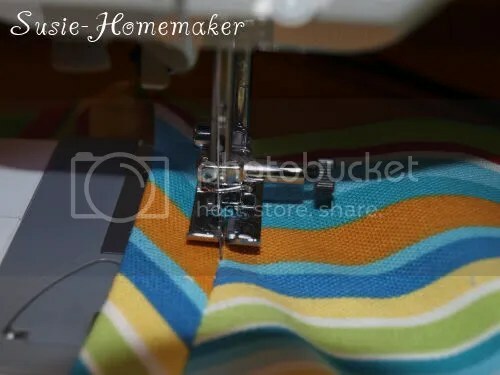 My mom bought me a machine (the same one I still use) and I had some basic lessons from the store where the machine came from – more to familiarize you with your new machine that actually teaching you how to sew. 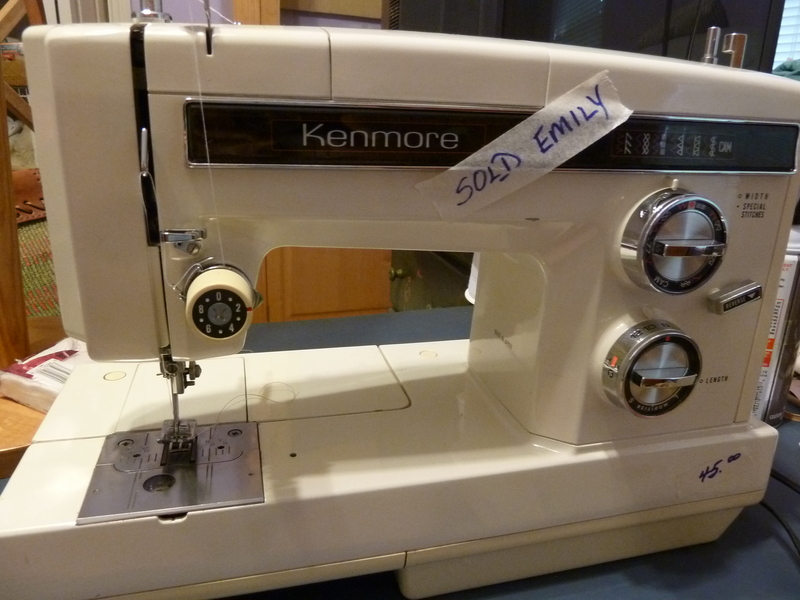 I then started some proper sewing lessons from a family friend. I remember Making a sweatshirt was my first project. 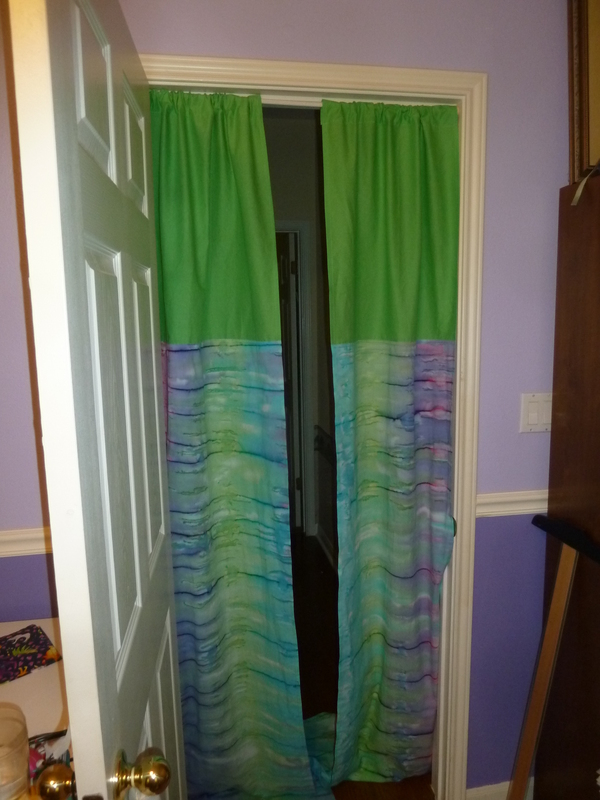 In my 20’s I sewed some clothes from time to time and made a few simple curtains for our house. I would patch things too. 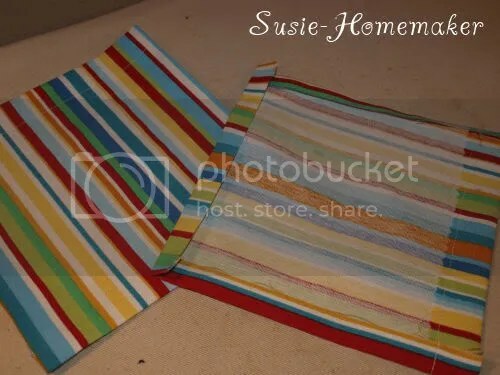 In my late 30’s I started making napkins and placemats. Nothing fancy, but very functional. Recently I have taken a few classes to brush up on reading patterns and re-learning techniques like zippers, elastic, shirring and alterations. I found a great teacher and have re-learned some old things and learned a ton of new things as well. 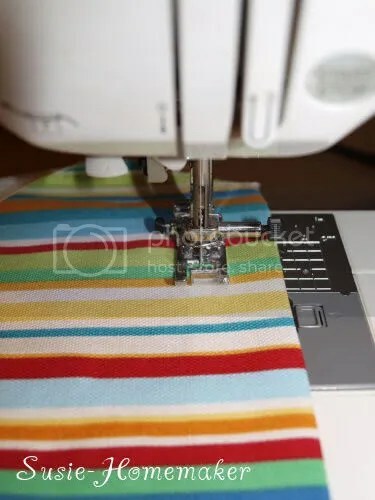 I am not a seamstress, but I am so glad I have a sewing machine (affectionately called “The Dinosaur” – after all it is over 30 years old and weighs about 40 lbs.) 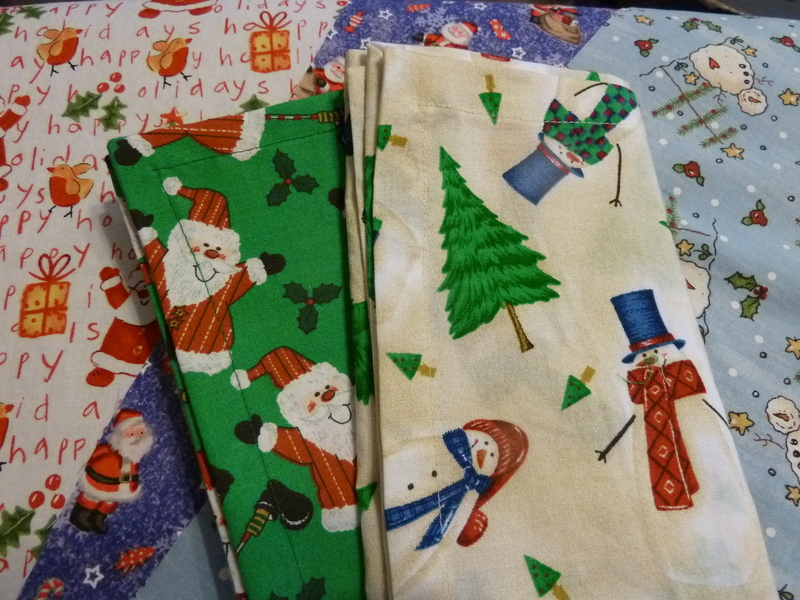 I have made many gifts with my old trusty machine and it is time to dust it off and make a few more… Christmas and wintery napkins for my brother and his kids. Today over at Sincerely, Emily I have taken a little walk down memory lane about growing up using fabric napkins. I hope the gift of these napkins will create some good memories for my brother and his kids. 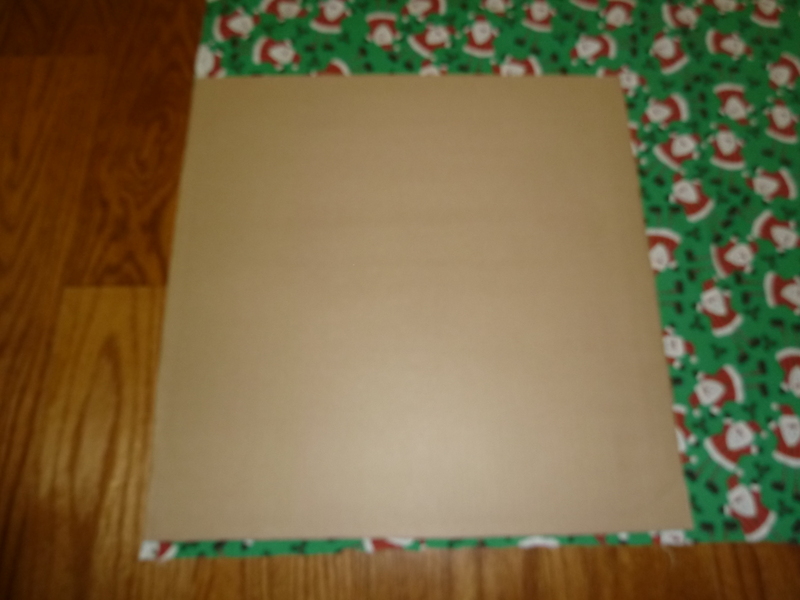 I wanted a 17” square finished napkin and I fold under a full inch on each side so my template is 19” square. Depending on the width of your fabric and shrinkage, and also the size of your napkin, you can usually get 4 napkins in 1 ¼ yard of fabric. Always wash your fabric in warm or hot water BEFORE you do any cutting. Sometimes fabric can shrink quite a bit. You want to make sure that shrinking happens before you start your project, not after. With napkins that isn’t as devastating as it would be if you made a pair of pants. Make it a habit to wash your fabric first. I am not an expert at sewing (or the proper sewing terminology). “Pictures are worth a thousand words” so if my words confuse you I really hope the pictures will help. Now that you have cut out your napkins, start by pressing under ½”. Do this on each side. Steam on your iron helps set that fold or you can use a spray bottle with water to mist your fabric before ironing. It is important that those pressed lines hold and create a nice crisp edge. Continue around again, pressing another ½” under. Remember to use steam or your spray bottle. You want those pressed fold line to show as we continue on. I have drawn on the fabric so you can see the fold lines easier. 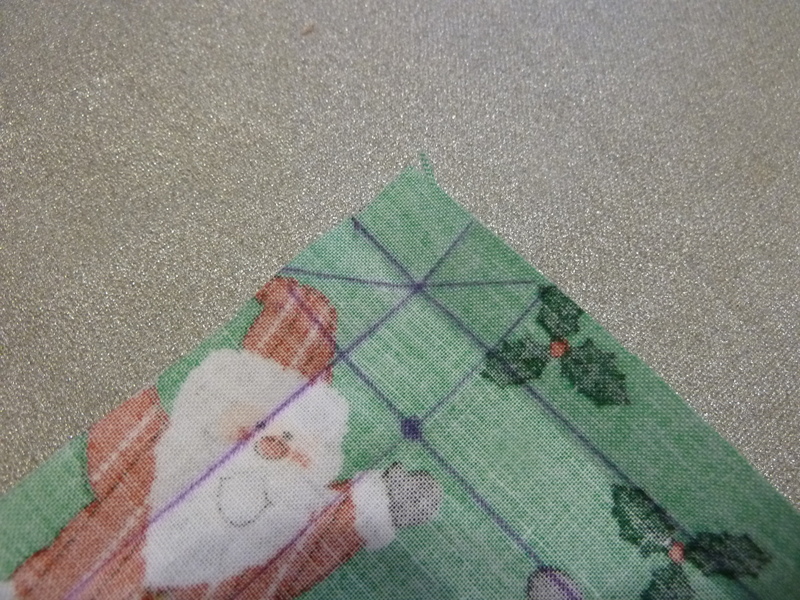 I have also drawn the 45 degree angle line where you are going to trim the corner of your fabric off. There are two purposes for cutting this corner. 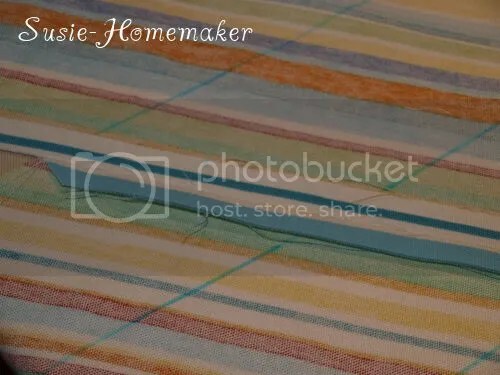 You don’t want any fabric to stick out under your mitered corner, but it also helps reduce the bulk of the fabric you have to sew through at each corner. In the two above photos you also see where I have placed a dot – that is the reference point you are using to make your second fold. Stay tuned… that is coming shortly, but I wanted you to notice that reference point now. Make your first ½” fold again. Now it is time to use that reference point (the dot) from the above photo. 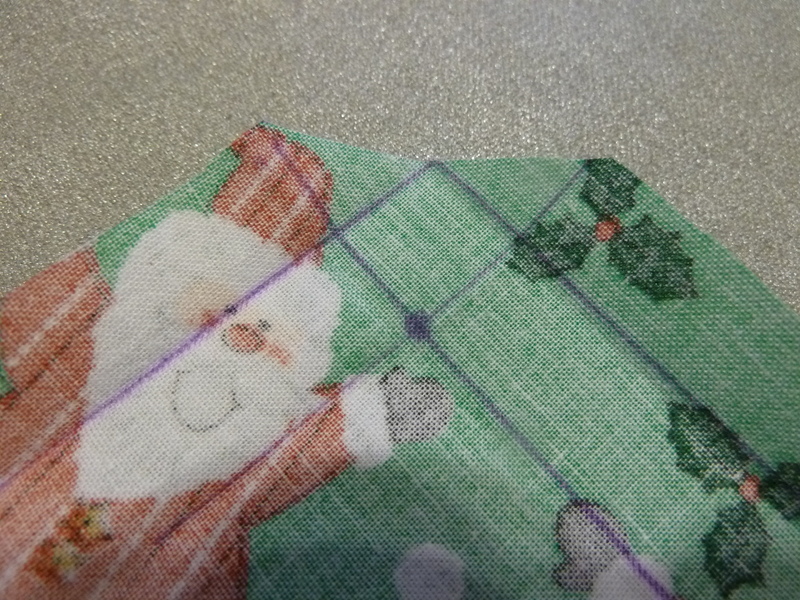 Fold the corner down at a 45 degree angle. The fold line should be on that reference point. Press that fold to help hold it in place. Fold over ½” again. Your initial pressed lines should help. Your corners should come together and meet creating a nice mitered corner. Press. I tend to complete one corner at a time before moving onto the next. Pressing along the way to keep all the folds neat. I don’t like to start right in the corner. I start about 1” before the corner. That way, when I come back around I can sew directly over that first inch of stitching, locking in my threads, and end in the corner. There are no rules here, do what ever you are comfortable with. Sew in once continuous line. Pivot at the corners and continue until you have gone all the way around. You are done. Mitered fabric napkins. 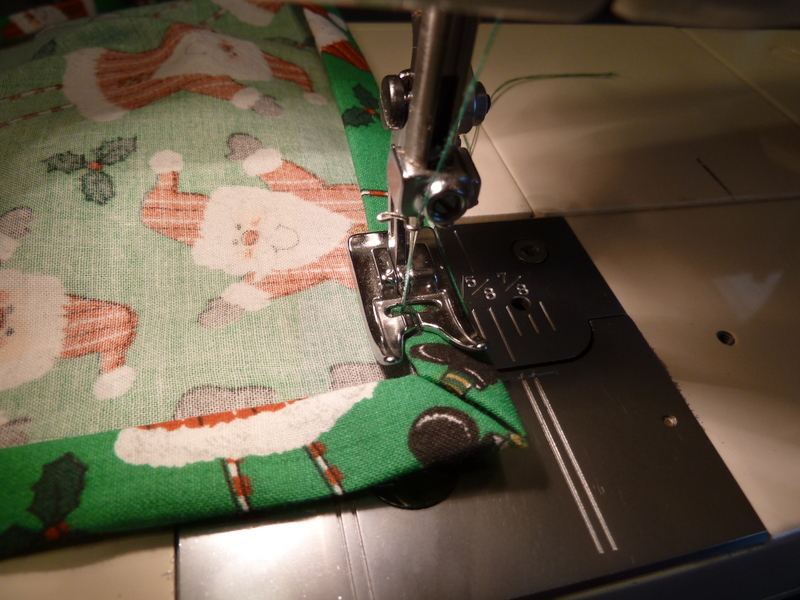 Are any of you sewing some holiday gifts this years? What are you making? Add a link to your comment if you have posted about it on your blog. I shared this on my blog, Unearthing This Life, earlier this week. 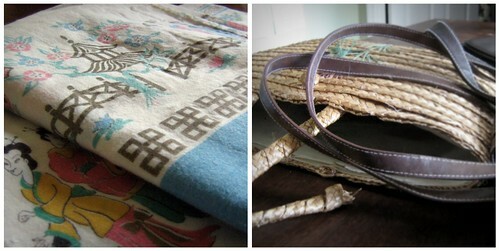 I thought I’d pass it along for all of you looking for a way to be crafty while (re)using thrift store purchases. 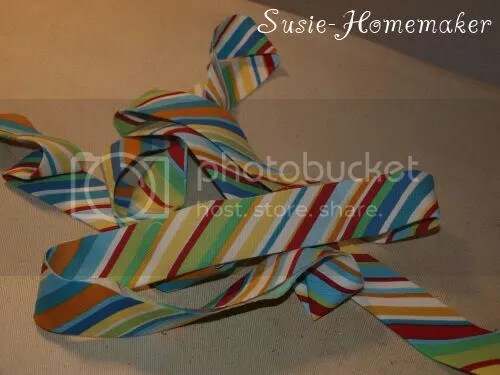 Everything but the ribbon is vintage in this item. This was way more fun to design than purchasing something brand new! I hope you enjoy!! This summer I picked up three or four sets of vintage pillowcases to make a few dresses for the Kid. I had originally intended to create a matching top for myself with the extra cases, but I thought it would be much more fun to create a new purse! Now I don’t claim to be any good at sewing. I’m much more of a free-form artist and sewing is so… final. So instead of digging up a pattern and trying to follow it, only to mess up and despise what I created, I decided to design my own pattern. Next I played around with shapes for the purse. I folded the pillowcase and centered upon the design. I didn’t want a humongous purse that would fold under weight, but I wanted something big enough to carry what I consider my essentials. Think about where the pillowcase opens versus where your purse will open. My pillowcase opened on the “bottom” of my purse so I had to figure out where I wanted the top of the purse to be. Be sure to add an inch to the top for a rolled hem and a 1/2 inch to the bottom for seams and hems. 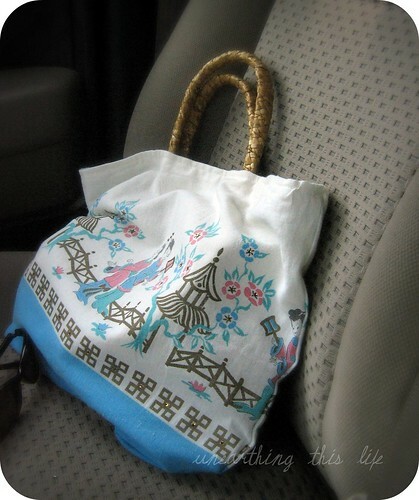 I was fortunate that I had enough “scrap” pillowcase leftover to make a liner for my purse. 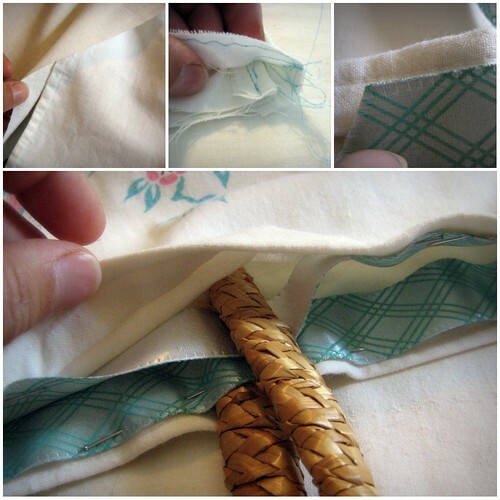 This is a must have if your pillowcase is older and the material is soft and worn. Because I didn’t want my purse quite as wide as the pillowcase I needed to trim it a bit. I wanted the purse 2-1/4inches narrower than the original pillowcase, but wanted to allow for a 1/2 inch seam, so I trimmed off 1-1/2 inches from one side. (I left the folded side of the pillowcase alone). 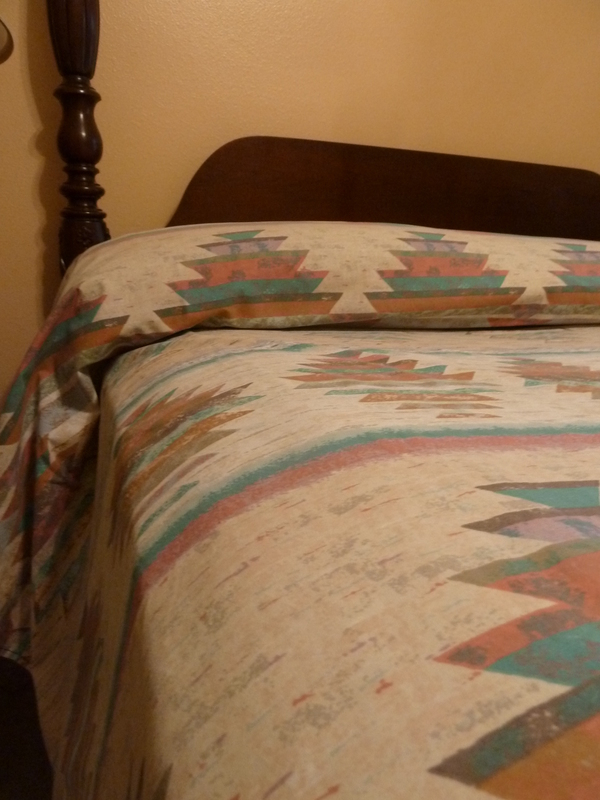 Once I trimmed down the pillowcase, I made a simple zigzag stitch on all raw edges to prevent running. Make sure to stitch the liner as well. If only because I can’t do anything simply, I decided that I did not want a plain rectangular purse. Instead I opted to blunt the corners of the bottom of the purse. Before I commited to a shape, I pinned the corners to get a visual. Three inches inward on both the side and bottom was pleasing to the eye. I added 1 inch for the bottom seam, so only trimmed off 2 inches in either direction. Before going any further I made a quick zigzag stitch on these raw edges. Next I sewed a seam on the bottom and bottom corners. Turn your purse inside-out so that you’re looking at the wrong side. Line up both edges of the bottom of the purse (and corners if you don’t want a straight bottom). 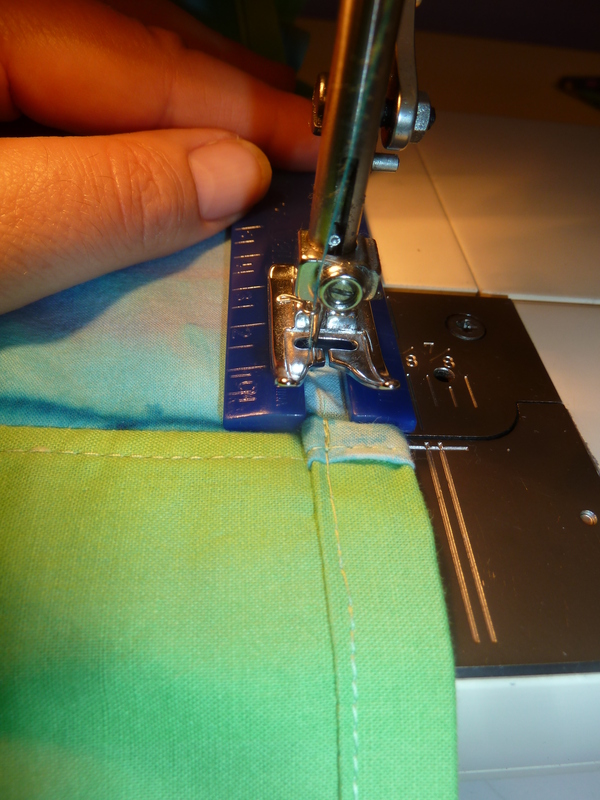 Sew a straight straight stitch 1/2 inch from the edge on the bottom edge and up the open side. I sewed an extra seam 1/4 inch inward for additional strength. Next do the same with the liner. Iron seams open. Now it’s time to stitch everything together. Insert the liner into the purse and turn everything inside-out so that you’re looking at the wrong side of the liner (If you look “inside” the purse you should see your design). Line up the top edges and make sure your sides match up as well. Roll the top edges of both the liner and the exterior down 1/2 inch and iron flat. 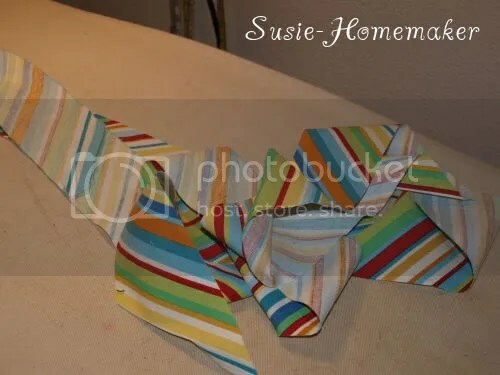 Fold all the way around a second time (1/2 inch) and pin then iron flat. 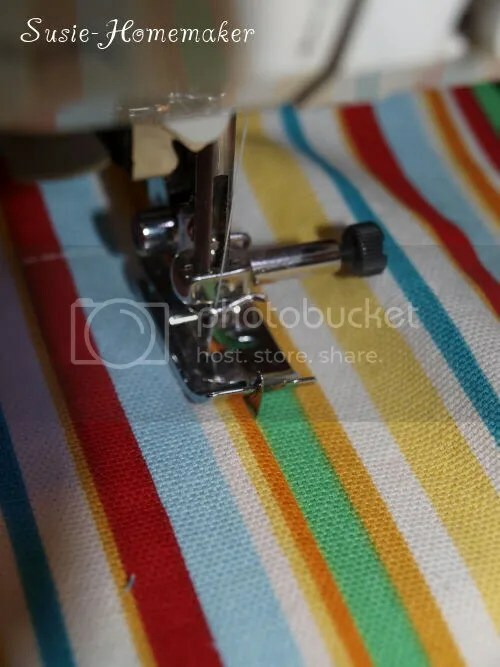 With matching thread, use a straight stitch to sew the hem closed 1/4 inch from the edge. Now to finish up! 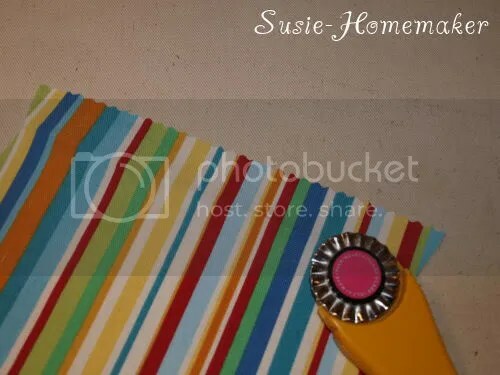 Take some matching 1 inch ribbon and line it up with the hem stitching on the interior of the purse. Tack it down with some pins. 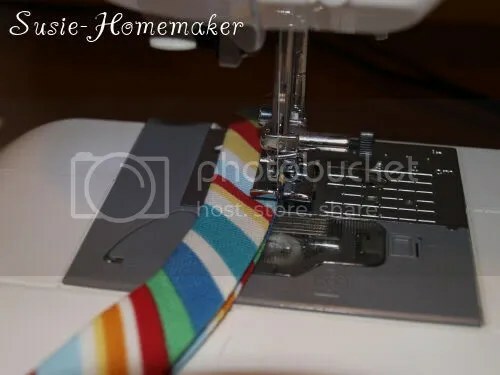 If you want to incorporate your handles like I did, insert them underneath the ribbon, then sew the ribbon and handles onto the hem edging (don’t go all the way through to the exterior of the purse) with a needle and thread. I used some craft glue for additional strength. 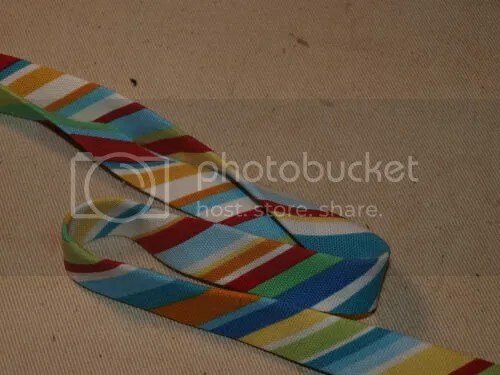 The ribbon hides all the handwork and the sloppy ends of these handles. 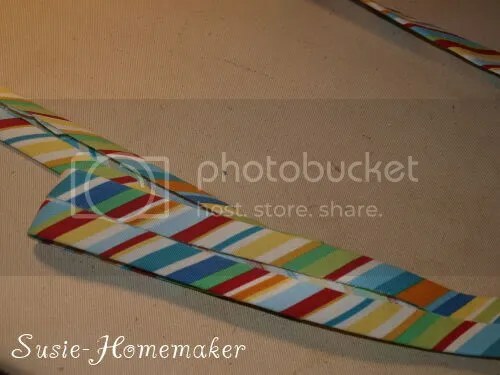 If you’re using straps or handles with rings, sew the rings onto the interior hem edge (without going all the way through the purse) and then tack on the ribbon by hand to hide the hardware. Finally, make the purse yours! I added some iron-on sequins I happened to have in my craft box. It was the perfect addition and required no fancy handwork. I’m absolutely thrilled with my new purse and I know I could not have purchased one brand new quite as cute! 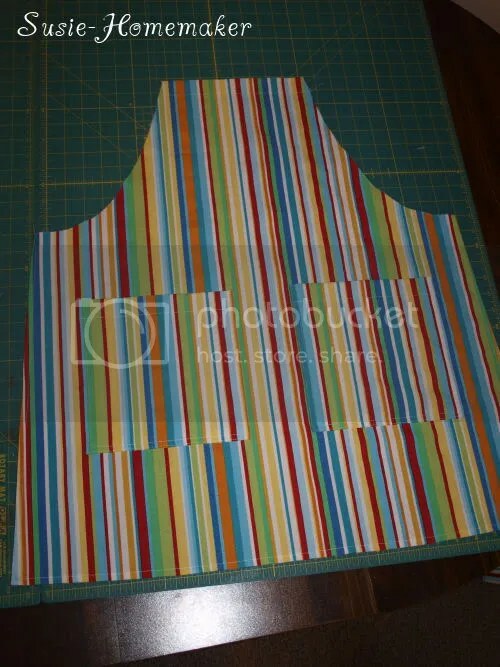 Ready for part 3 of the apron sew-a-long? Time to finish up those aprons and start wearing them! If you missed any of the previous posts, you can find them here – part 1 and part 2. Now it’s time to make the binding for the apron. 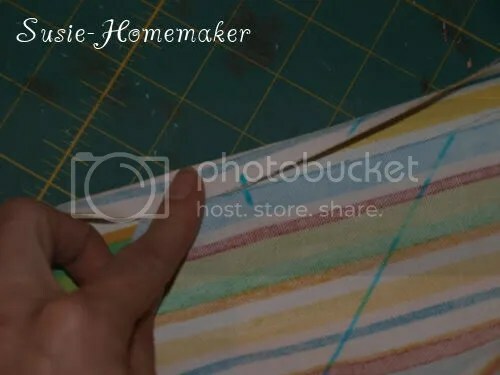 First lay your fabric and draw lines with a water-soluble marker 3.25″ apart (these will be your cut lines). 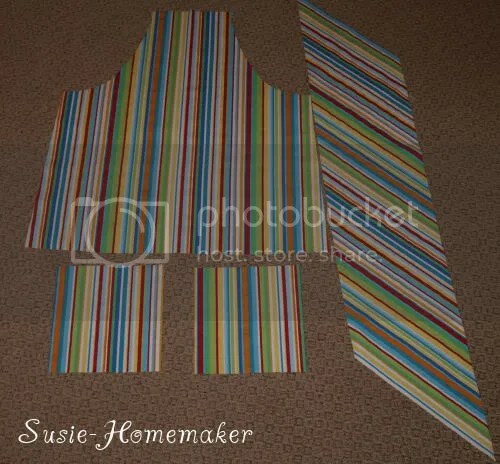 Line up pattern markings so you can cut one continuous strip once you sew binding piece in a loop. Sew the seam to form a loop with your binding piece. Cut on the lines you drew. 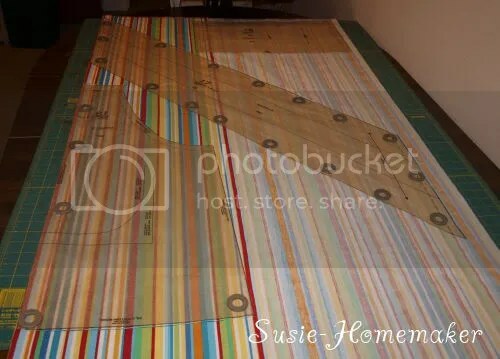 You will now have one very long piece of fabric that you will use for binding both sides of the apron as well as the neck and back ties. Fold the binding, wrong sides facing each other, and press. Open the binding and fold each side, wrong sides together, to the center fold crease. 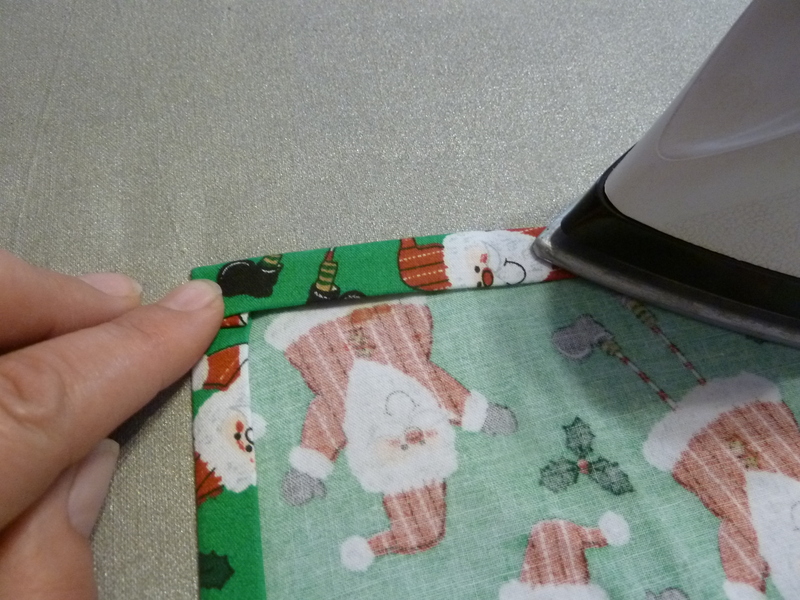 Now fold along the center crease and give the binding a good press. Now your binding is ready to attach to your apron. First cut your long piece in half. 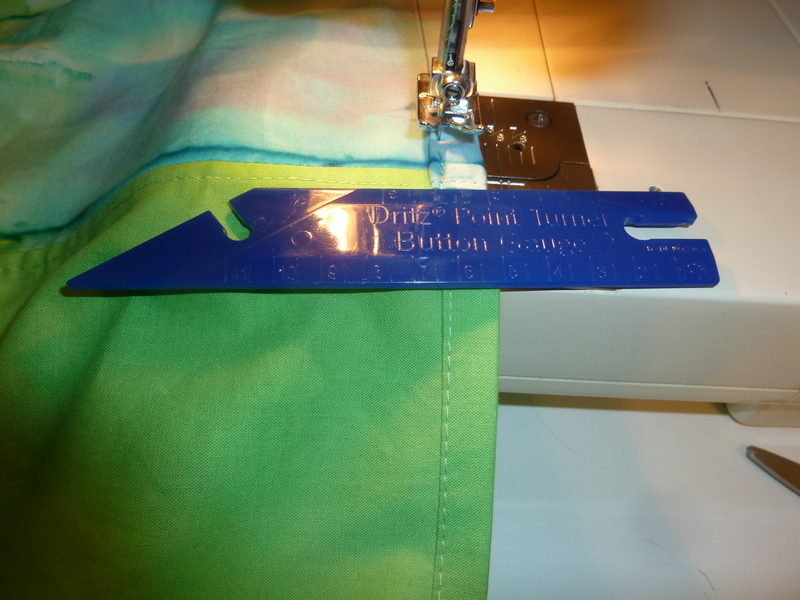 Now you’ll want to find the center of your apron side and center of your binding piece and pin it to the apron. 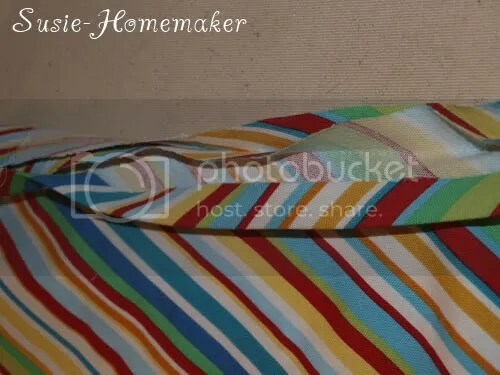 When you attach it to the apron, you’ll need to open one of the sides of your binding so the right side of your binding and the right side of your apron are facing each other. 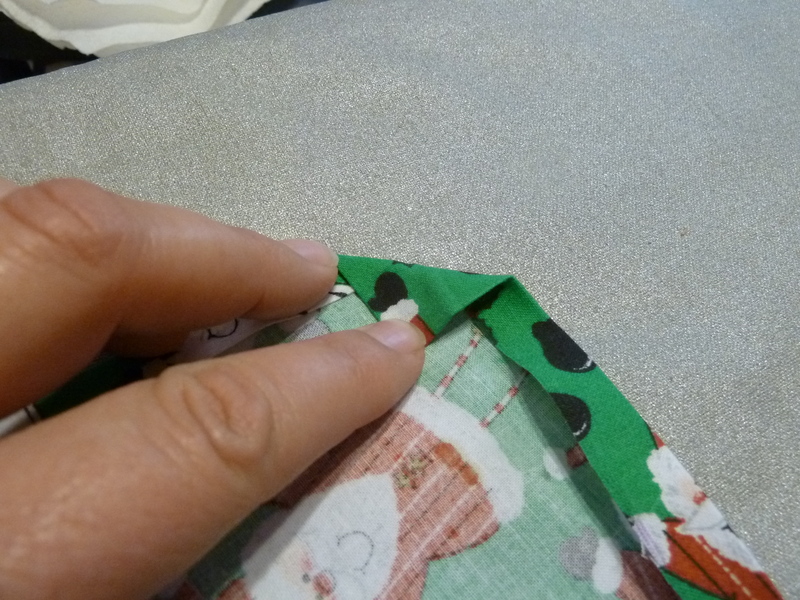 Pin in place, then sew the binding to the apron only stitching on the outer crease line. 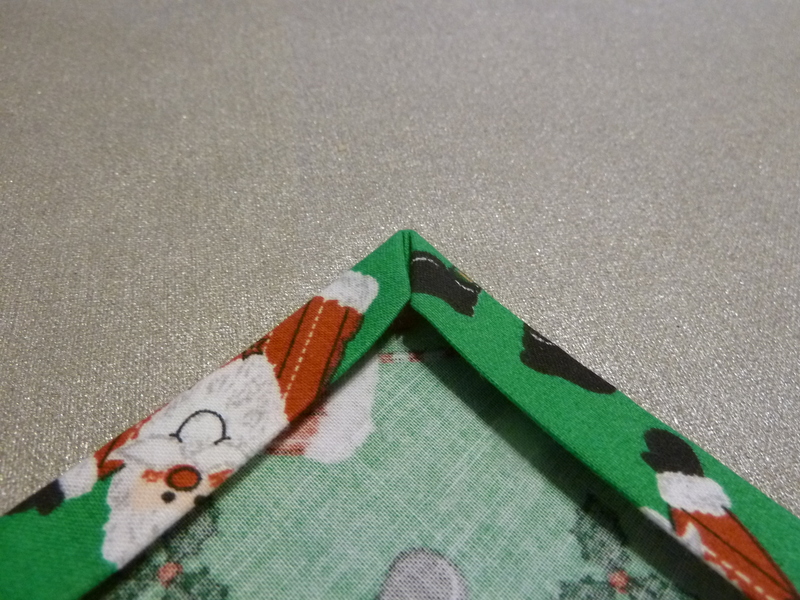 Fold the binding on the center crease and around to the back side, pin in place. 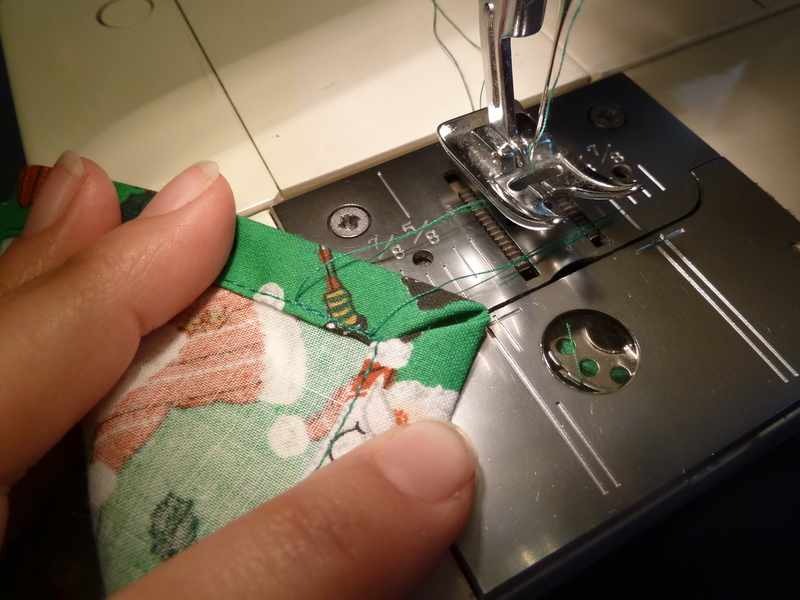 Now using an edge stitching foot, start at one tail of your apron strap and stitch until you get to the apron. Keep stitching on the apron and then back off on the rest of the loose strap. This step closes the ties and secures it to the apron. Repeat on the other side and viola, you have your very own apron! 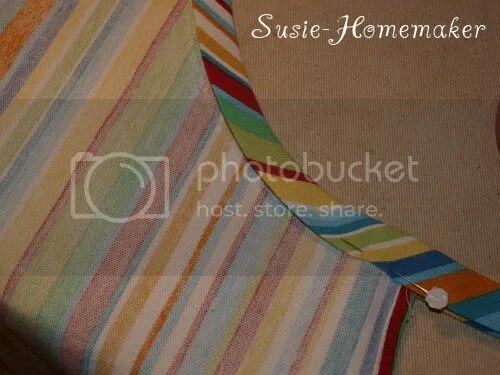 Pat yourself on the back and tie that apron on – you made an apron! Here is my finished apron. I love the stripes. Thank you to all who participated in the sew-a-long, I hope you found it helpful. 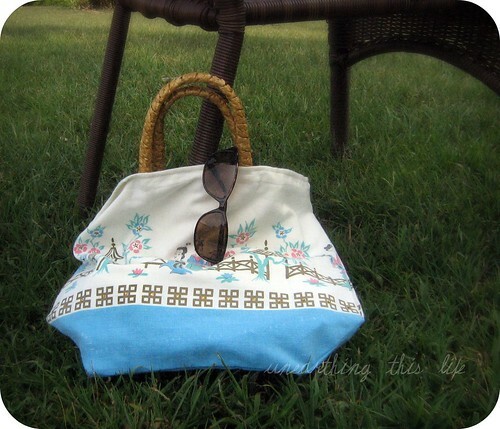 I have enjoyed sharing a little about sewing with the readers of Not Dabbling in Normal. I’ve decided to end my little sewing series. School is starting in a few weeks and my family is traveling down a new-to-us path, we’ll be homeschooling our four children this year. I’m super excited, but can only imagine I’m going to have even less time for writing posts. I need to clear off my plate and make sure our school year gets off to a solid start. Have a great rest of your summer! Are you all ready for part 2 of the apron sew-a-long? My apologies for not posting two weeks ago like I was supposed to. We went camping and I forgot about my post – oops. Love those long holiday weekends, but it messes with my mental calendar and makes me think that Tuesday is really Monday. If you need a refresher of where we left off, please peek at this post. Now that the apron is all cut out, we get to start sewing! First up is tackling the pockets. Remember I’m using McCall’s 2947. The instructions for McCall’s 5358 should be very similar, but I didn’t check them out so I have no idea if they follow exactly. On the front page of your instruction sheet you see the bottom is titled “Sewing Directions”. It shows the first step is attaching the pockets. I honestly don’t follow the directions exactly. I do my own thing with pockets. You’re welcome to follow their directions of you can follow mine. My are a little simpler and that is the beauty of sewing, you can construct things how you want to. 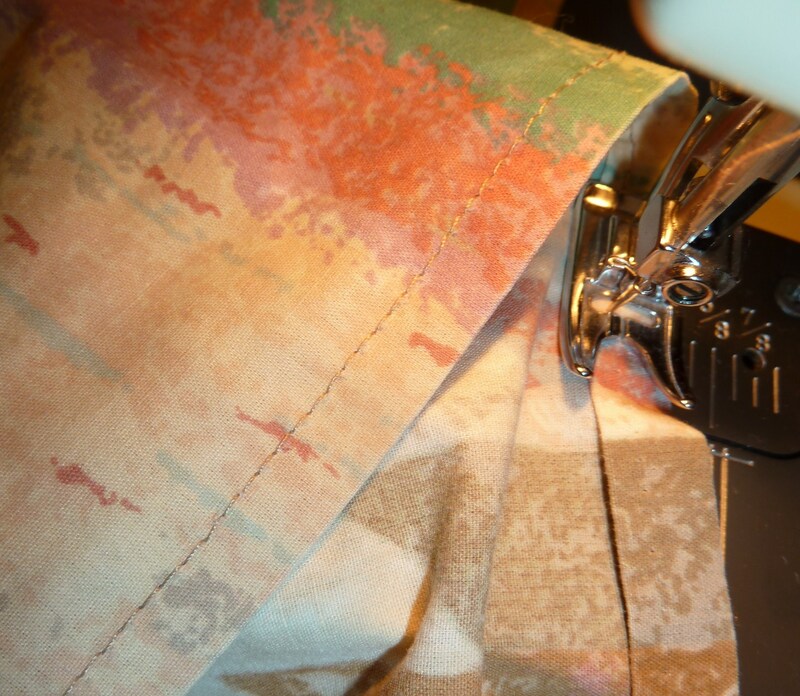 First I fold down the top raw edge of the pocket 1″ and press to crease. If you use your eagle eye, you can see this is actually the top of the apron and not the pocket. I went ahead and did the pockets and apron top in all at the same time (apparently I don’t follow directions very well). 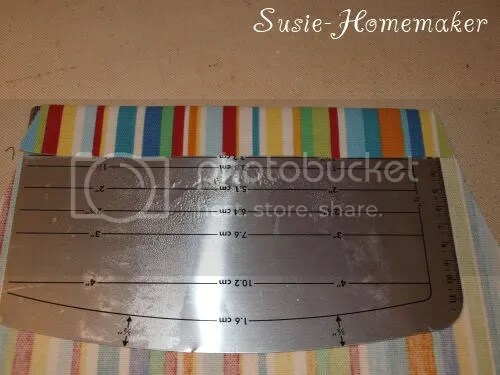 So you might as well just press the top of your apron over 1″ at the same time as you’re working on the pockets and get that part done too. Next you need to finish the raw edge so it doesn’t unravel in the wash. 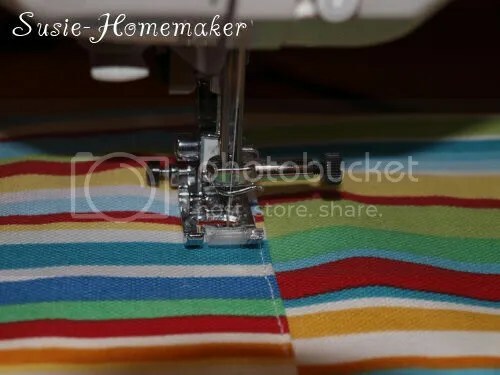 If you have a serger or some sort of overlock function on your sewing machine you can finish the top edge of your pocket(s) and top of apron that way. I chose to use my pinking sheer blade rotary cutter to treat these edges. Next you stitch down the top fold so it stays in place on both the pocket(s) and apron top. Set aside your main apron piece and we’re going to focus solely on the pockets. 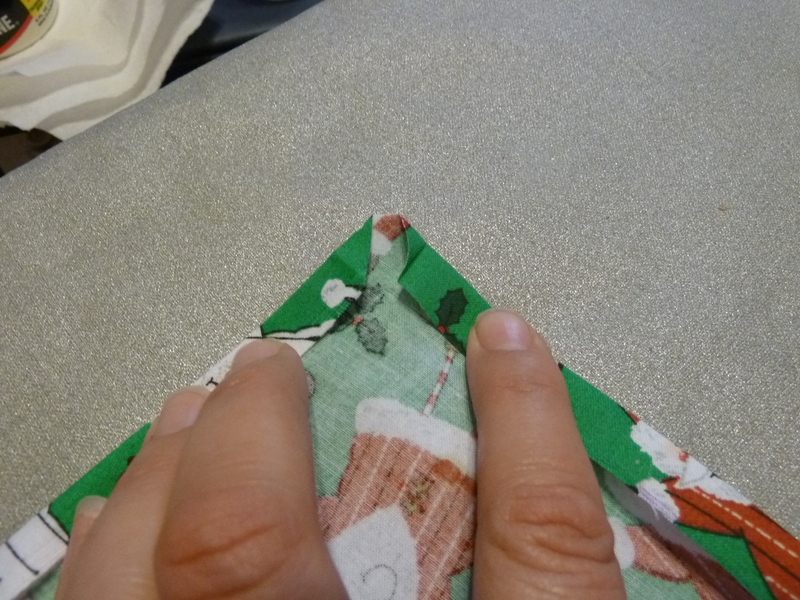 You need to fold the remaining three edges to the inside using a 5/8″ seam allowance (aka fold your raw edges in so they measure 5/8″ on your little seam gauge ruler). Press. 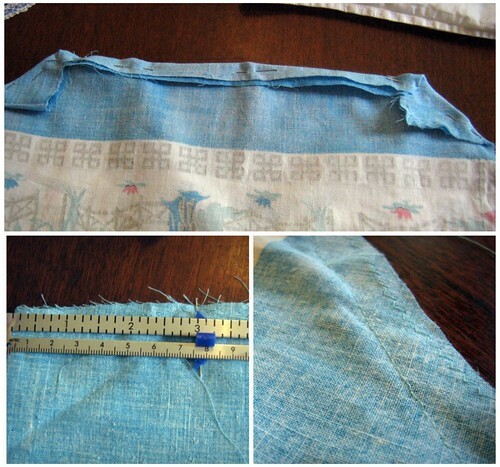 Now place your pocket(s) on the front of your apron using the pattern piece as a guide. Remember the pattern piece is only a guide so if you like your pocket(s) placed differently (i.e. higher, lower, closer together, etc) do what you like. Afterall this is YOUR apron! 🙂 Also a reminder that I made two square-ish pockets because I personally like two pockets. This is the reason I sew, so I can do what I want. 🙂 When you have your pockets just right, pin them in place on your main apron piece. The pockets are now ready to be stitched down. 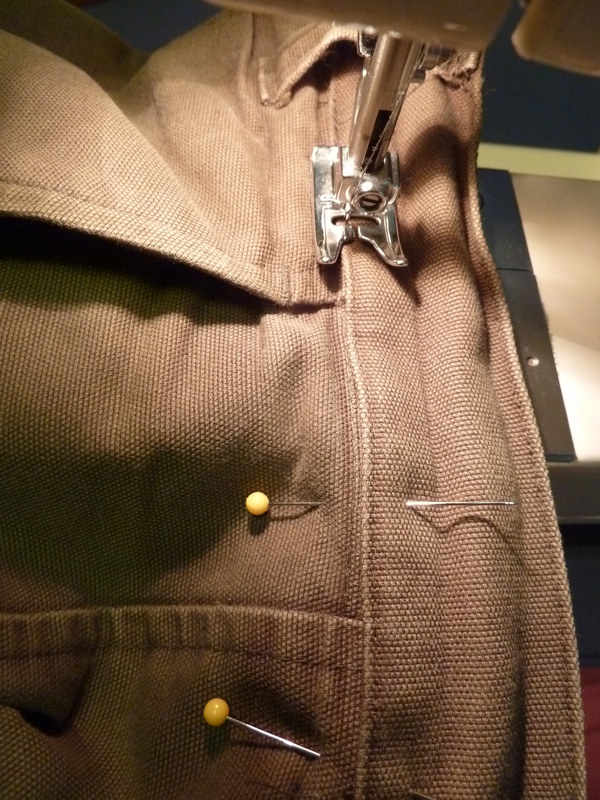 For a professional look, stitch close to the edge of the pocket (about 1/8″). I use my edgestitching foot as you can see in the photo. The edgestitching foot makes it so easy to sew in a straight line. My stitch length is a 3 on my machine. Next stitch about 1/4″ away from your first stitch line again at a stitch length of 3. If you used an edgestitching foot, you’ll need to put your regular foot back on before completing this step. 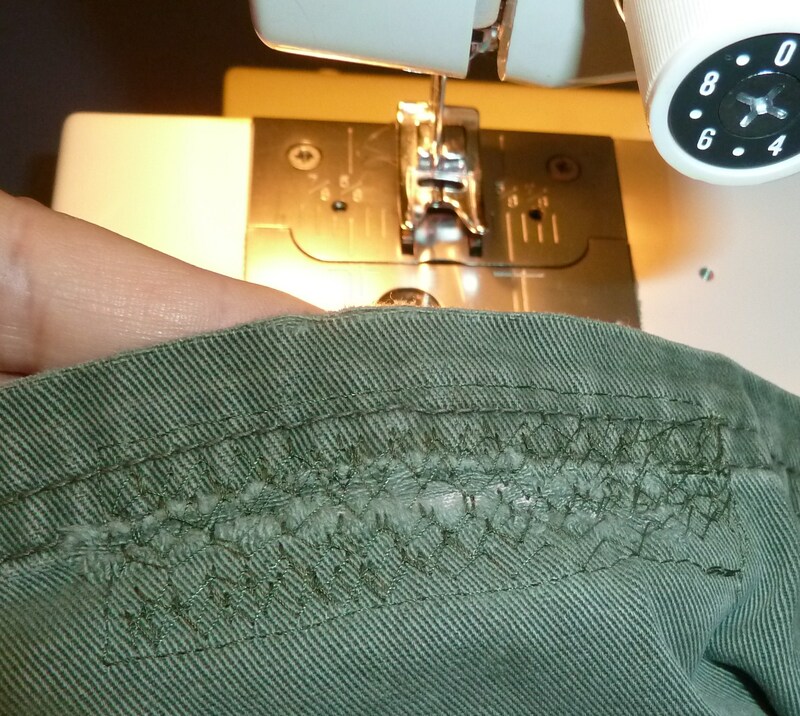 You’ll end up with two lines of stitching about 1/4″ apart. This makes a nice, durable pocket. Viola, the pockets are finished! 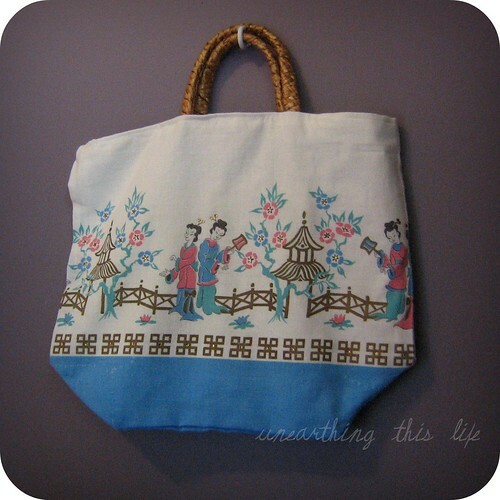 Let me know if anything is unclear, until next time…Happy Sewing! 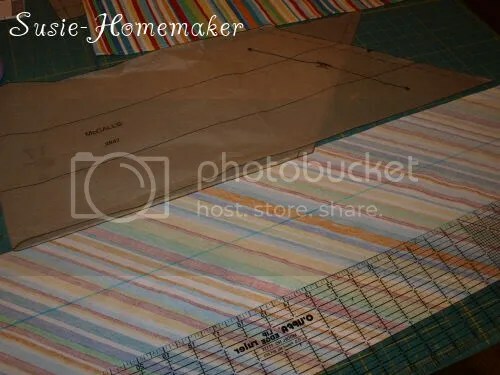 Alright, does everyone have their apron pattern and fabric? Well let’s get started! To begin you’ll need either McCall’s 2947 or McCall’s 5358 and 1 3/8 yd of fabric. My apologies if this is too elementary for some of you. 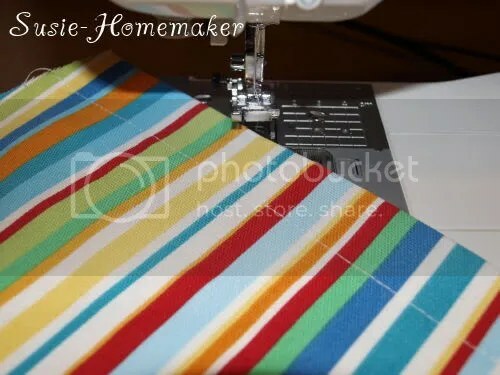 I want to make sure it’s easy for everyone to follow along and successfully make an apron. If you’re a gung ho sewer, by all means blaze ahead. 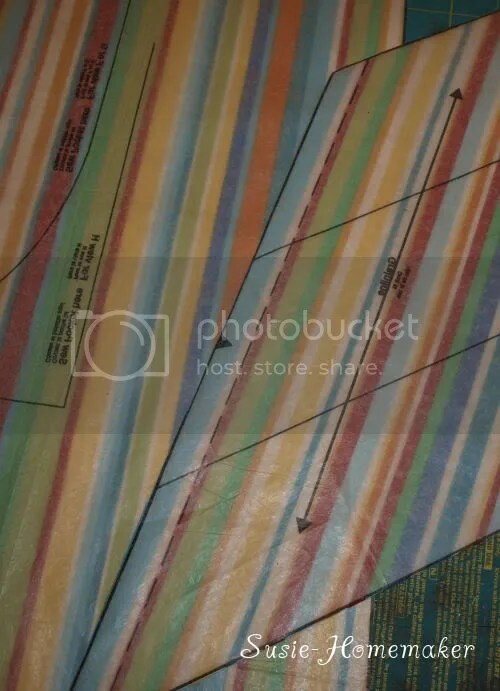 So first, you need to cut out your pattern pieces. I’m using 2947, so that was pieces 13, 16, & 17. Actually you don’t have to use 16 which is a pocket. There are a number of pockets which you can use in this pattern. I chose 16 and actually cut the piece of fabric in half to make two separate pockets because that is what I personally like on my apron. You can put whatever pocket(s) on you’d like or leave them off altogether. Next you need to lay your fabric out. Make sure you have it on grain. 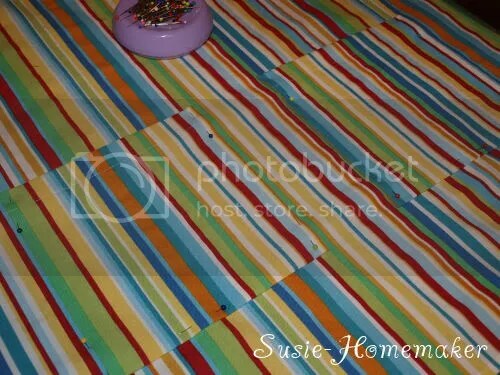 You can see with the stripes it’s super easy to find the grain of the fabric. 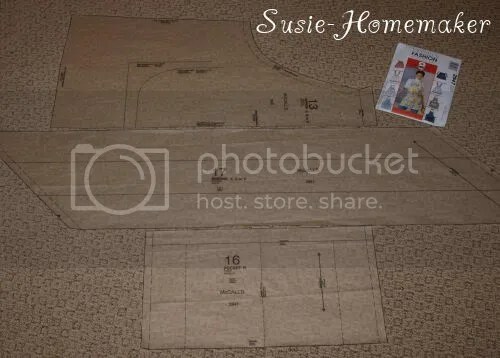 Below is the cutting layout shown on the pattern instruction sheet. Secure your pattern pieces to your fabric with either weights if you’re using a rotary cutter or with pins if you’re using scissors to cut. 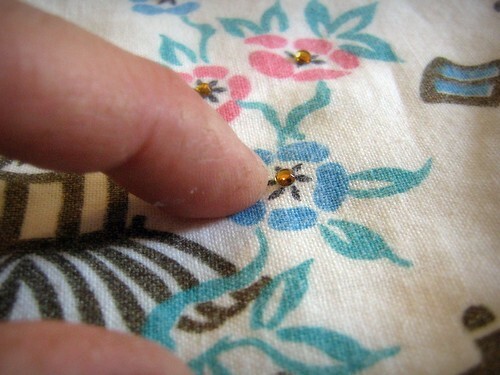 Here is a close up of the grainline on the pattern matching up with the grain of the fabric. Let me know if you have any questions. Next time we’ll start the sewing process! 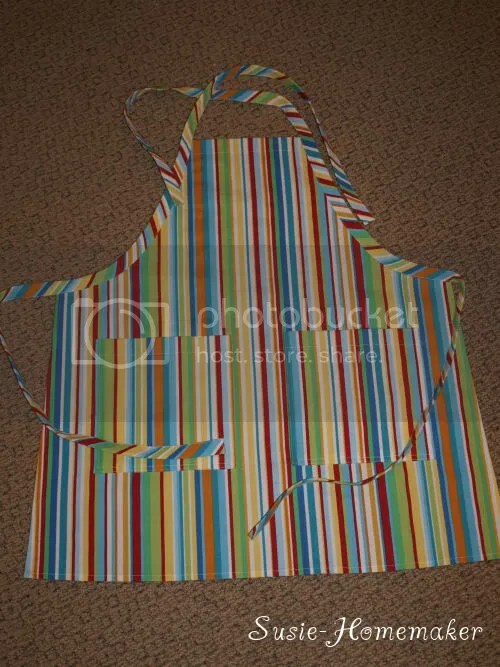 I’m really pleased with how my apron turned out, the stripes make it so fun and summery!